The same Supreme Court that unleashed a torrent of political corruption with its Citizens United ruling of 2010 has now expanded its support for legalized bribery with a unanimous decision to vacate former Virginia governor Robert McDonnell’s conviction for corruption. Written by the Court’s most ardent advocate for the corporations-are-people, money-is-speech fantasy that is remaking American politics and governance—Chief Justice John Roberts—Monday’s decision in McDonnell v. United States places another link in the chain of protection for influence peddling that Roberts and his colleagues have been forging. "This ruling opens the way for corporate executives and wealthy individuals to undermine our democracy..."
While Nelson says he is “pleased that the court didn’t accept the constitutional arguments made by McDonnell that the First Amendment protects quid pro quo payoffs made to government officials to influence government policy,” he and other serious observers understand that will come as little comfort for citizens who lack the resources to buy elections or to buy access to public officials. 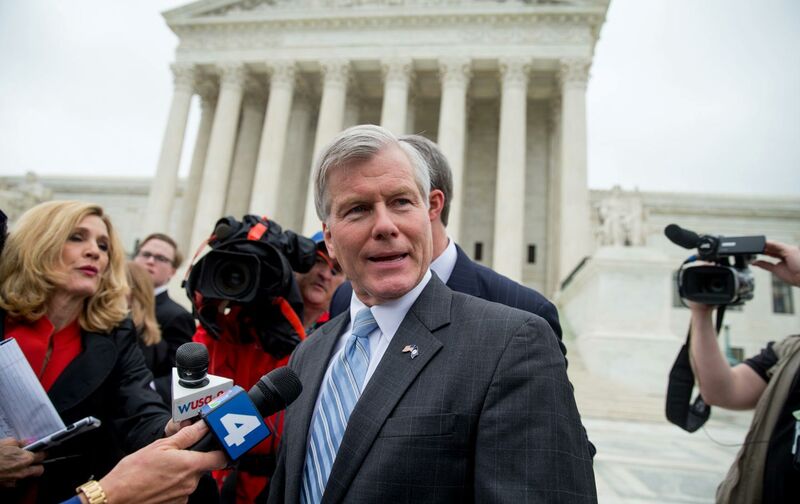 The legalized-bribery argument advanced by Roberts seeks to suggest that former Governor McDonnell was engaged in some sort of constituent service—or, in legal parlance, “honest service”—when he accepted lavish “gifts” from a businessman and then used his position to arrange meetings and to provide access to other officials whose actions could benefit the businessman. Roberts acknowledged that McDonnell’s actions were “distasteful.” But the chief justice still suggested that it was acceptable for a businessman to effectively buy the lobbying services of powerful officials with expensive gratuities—so long as the officials serve as facilitators rather than formal decision makers. But, of course, that facilitation can be of enormous service to those who are wealthy enough to engage the services of a governor. This is an accurate assessment of an atrocious decision by a Court that has already done severe harm to democracy. The McDonnell ruling cannot be allowed to stand. Yet it will not be easy to overturn. Of course, prosecutors should continue to go after corrupt politicians, and lower courts should continue to take cases that might lead to a reversal—or at least a clarification—of Monday’s wrongheaded ruling. Legislators can and should take steps to specifically define official wrongdoing in a way that signals it is unacceptable for officials to accept expensive gifts and then arrange meetings for their benefactors. And future presidents should appoint justices who recognize the need to address the culture of corruption that has infected our politics and governance. At the same time, citizens have every right to demand absolute assurance that jurists will not continue to create new forms of legalized bribery. This includes advocacy for a constitutional response. Just as it was appropriate to argue—as 17 states and more than 700 communities now have—for a constitutional amendment to overturn the anti-democratic Citizens United decision, so it is appropriate to argue for a constitutional amendment to overturn the anti-democratic McDonnell decision.